Volunteers are vital to the success of the Annual OCD Conference (and and Annual Hoarding Meeting), and the IOCDF would not be able to run the Conference without their support and dedication! 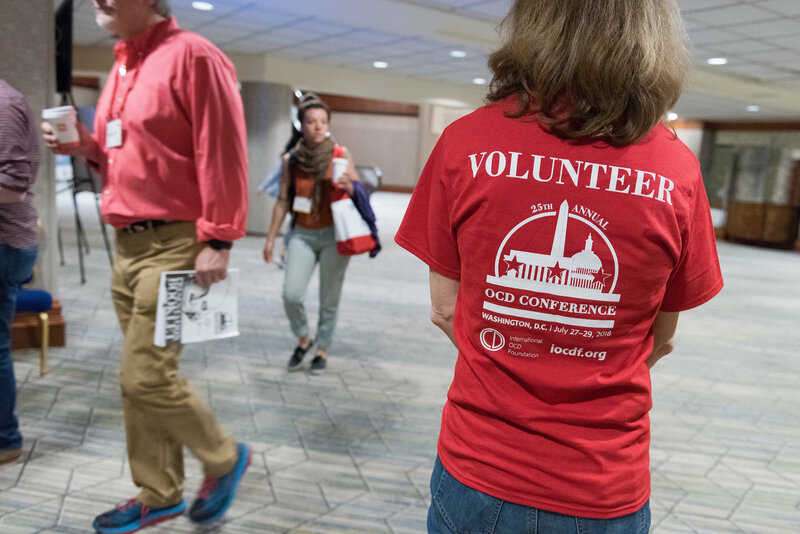 Volunteers at the Conference serve in multiple capacities — Room Monitors, Navigation Guides, Registration Assistants, and Youth Programming Assistants. 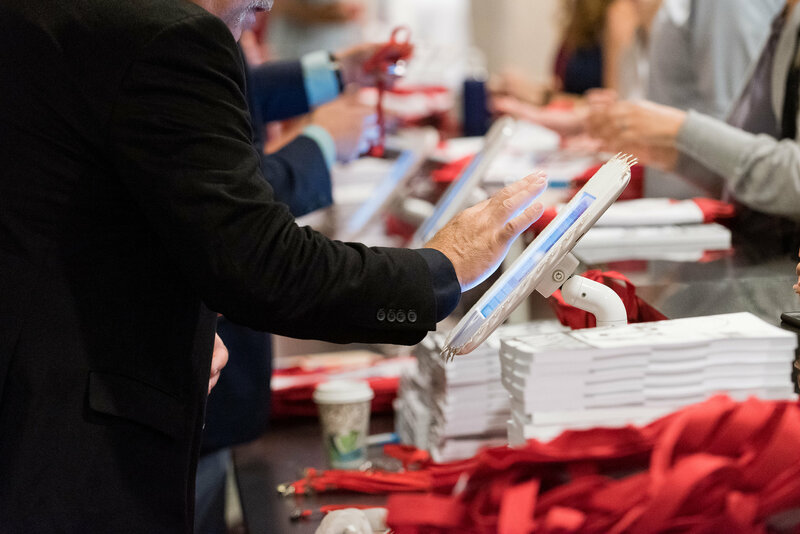 Every type of volunteer will receive a free Conference registration (this does NOT cover room, board, or travel expenses) in exchange for volunteering for one shift. In addition, all Conference volunteers are required to attend a pre-Conference volunteer orientation in Austin, TX on Thursday, July 18th, 2019 (exact time of orientation will vary depending on type of volunteer). See below for details about the various types of volunteers and shifts. Introducing session speakers using a script prepared by the IOCDF. Taking a head count of people who attended your sessions. Making IOCDF staff aware of any problems that arise during the presentation. Knowing the layout of the Conference space. Helping attendees find the correct registration lines. Pointing attendees in the direction of various Conference events and locations. Assisting IOCDF staff with crowd control as needed. Finding attendee badges for those checking in for the Conference. Restocking registration counter supplies (e.g. bags, Presentation Books, etc.). Assisting IOCDF staff with other registration needs as needed. Youth Programming Assistances are assigned to a specific day in either the Kids Room, Middle Schoolers Room, or Teens Room. In addition to the responsibilities of Room Monitors, Youth Programming Assistants are tasked with taking an active role in helping Room Leaders to manage the behavior of the youth in attendance. As such, this volunteer opportunity is only open to those who are student/trainees or professionals in educational or therapeutic disciplines, with a proven track record of working with youth. Youth Programming Assistant volunteer shifts runs either from 8:00am–5:30pm on Friday OR Sunday; OR from 8:00am–12:30pm on Sunday. Taking an active role in assisting Room Leaders with managing the behavior of youth in the room, as needed. Distributing and collecting each session's evaluation forms. Taking a head count of youth who attended your sessions. Making IOCDF staff aware of any problems that arise during the day. 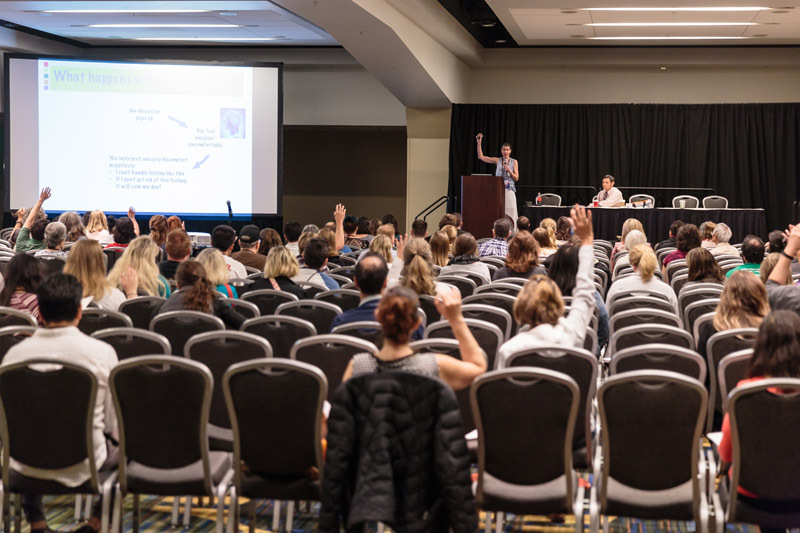 The application to volunteer at the 26th Annual OCD Conference will be open starting April 2019. If you have any questions or concerns about volunteering, please e-mail conference@iocdf.org.